Our priority at WADE Design Group is to provide a smooth and creative process of home design that is personalized to the uniqueness of you. Everyone has an idea of a 'Dream Home'. You are equipped with a checklist of needs and wants that adheres to your personal taste and style. We aim to maintain your ideas throughout the design process. Allow us to be the tool you use to make your 'Dream Home' come true. Getting started is as simple as a phone call. First we'll discuss what you have in mind. Whether you know exactly what you want or have multiple interest in styles, we're here to help. We will get your home established by directing those ideas into something that is cohesive and personal. Our experience ranges from here locally in Edmond, Oklahoma to throughout nationwide. We've completed designs located on the mountainsides of Colorado, hot spots with an ocean view in Florida, and to the shores of lake Tahoe. 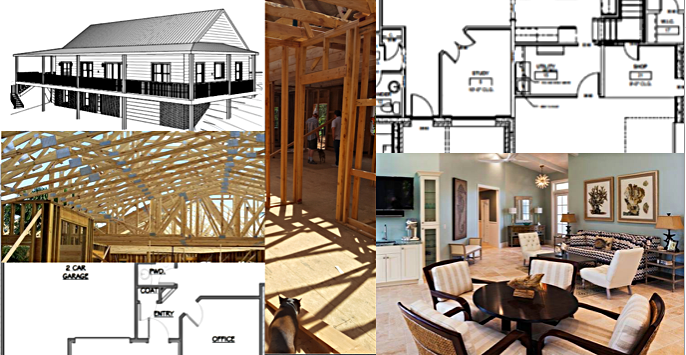 No matter the distance, its our goal to have key communication from start to finish so we can deliver a final product promptly for you to enter into the next phase of your home being built and completed.